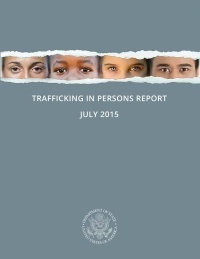 This year, the State Department’s Trafficking in Persons Report (TIP Report) had the opportunity to send a strong message to the private sector about combating human trafficking: Forced labor happens in your supply chains, and the U.S. federal government is paying attention. With this issue as the report’s central theme, the goal was to further the conversation with both companies and governments on effective solutions. Although the relationship between the global marketplace and forced labor did, in fact, dominate the news last week, it was not a conversation about the private sector’s inclusion. Rather, the headlines were dominated by the State Department’s upgrade of Malaysia from the lowest ranking in the report, despite numerous reports of abuse and little action by its government. Many believe this controversial move was made to ensure that Malaysia remains a part of the Trans-Pacific Partnership (TPP) currently being negotiated by the White House. The political discourse that followed has overshadowed the TIP office’s attempt to call on companies to pay attention to the issue of forced labor in supply chains. The report dedicates more than 20 pages to the issue -- covering important themes like exploitative recruitment tactics, supply chain transparency and market dynamics that contribute to human trafficking. Supply chains are complicated and opaque, with egregious labor abuses occurring deep within production sub-tiers. The International Labor Organization estimates that forced labor in the private economy generates $150 billion in illegal profits per year. There is no silver-bullet solution, and addressing the issue is a daunting task. An effective approach prioritizes the protection of vulnerable workers, while taking into account the business dynamics of a given industry. The TIP Report includes a great example of this approach when it mentions the Coalition of Immokalee Workers’ Fair Food Program (FFP). This worker-centered approach brings farm workers, tomato growers, commodity buyers and retailers together to address the labor abuses that at one point seemed inherent to the industry. The tomato industry is not the only one that relies heavily on low-skilled, migrant labor — a community particularly vulnerable to human trafficking and forced labor. Exploitation of migrant laborers can be found in many of the industries that harvest our food, manufacture our clothes, assemble our electronics and operate your neighborhood nail salon. Today, if migrant laborers were their own country, they’d be the fifth largest by population in the world. The TIP Report highlights the urgent need to protect migrant workers who often lack adequate protections. Corporations should be concerned about the exploitative recruitment practices that take place within their supply chains. Migrant workers are often charged exorbitant recruitment fees with predatory interest rates that essentially trap them into their employment. The travel documents of migrant workers are often confiscated and retained, further limiting their ability to leave. In Thailand, the Guardian has been documenting these practices since their investigation uncovered labor abuses in the Thai seafood industry, where migrant workers are routinely enslaved on fishing vessels. The paper's report, which linked these practices to Western retailers purchasing tainted goods, came out alongside a 2014 TIP Report downgrade for Thailand — where the country appropriately remains today. Forward-leaning companies understand the impact this can have on their business, and some have begun to reimburse workers for the fees they were forced to pay or are now hiring their workforce directly where feasible. Yet for all this attention to supply chains, the State Department was willing to ignore the very facts its own report was drawing attention to. The TIP Report was in fact accurate in its description of the supply chain human trafficking risks, but the department's actions contradicted its own words. Not only did the department reward undeserving behavior, but its actions could, in fact, exacerbate pre-existing problems. For example, the upgrade of Malaysia ensures the country's inclusion in the TPP trade deal, which in return will make it easier for Malaysian commodity producers to compete with each other in the global market. These producers, which operate largely with impunity and have already been called out for exploitative labor practices in the palm oil industry, may embrace cost reduction tactics in order to compete for more business. Undoubtedly, some of these suppliers might turn to exploitative tactics to reduce wages and cut costs. Corporations compete on the basis of their supply chains, and it’s important to understand how changes in the global market landscape can increase one’s supply chain liability. However, a more complicated supply chain does not absolve a company’s responsibility to protect basic human rights. Companies are beginning to realize that technology can disrupt the market for people. The same technology that allows us to send instant messages across the globe can be used to communicate directly with workers, and the technology changing how wireless funds are tracked could be used to ensure workers receive payment. For 14 years, the TIP Report has been a call-to-action for international governments, and while their responsiveness remains key, the inclusion of the private sector this year is a welcome addition. The private sector should pay attention to the State Department’s call for action, but if the State Department wants companies to prioritize addressing forced labor it must lead by example by giving an honest and fair assessment of each country without regard for competing interests. Prioritizing politics over protecting people reinforces the wrong message and leaves the private sector without a credible and necessary partner in this fight. Kilian Moote is Project Director of KnowTheChain and an expert on supply chain transparency and legal disclosure. Previously, he conceptualized and led Free2Work, a risk assessment and evaluation tool, created with the U.S. State Department, focused on promoting transparency in supply chains. In the past, Kilian has served as an adjunct faculty member on corporate social responsibility and sustainable supply chain management at the University of San Francisco and has lectured at the University of Technology, Sydney.